Heirloom Okra Seeds - Angel Field Heirloom Farms "Organic Seeds"
Is Heirloom Okra the Angel Vegetable to help prevent Brest Cancer? 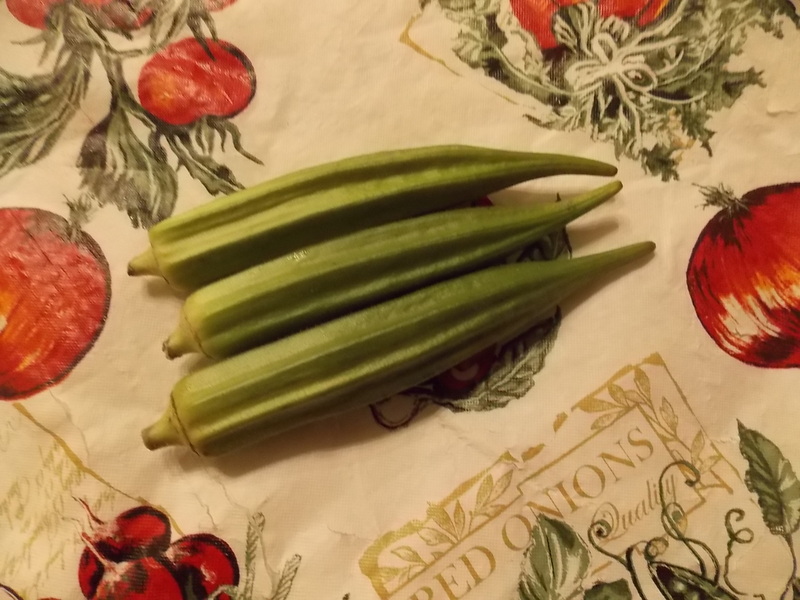 Okra Kills 72% of Breast Cancer Cells & Slows Growth in Vitro: A newly discovered lectin in common okra (Abelmoschus esculentus) was shown to kill 72% of human breast cancer cells (MCF7) in vitro, mostly by inducing programmed cell death (apoptosis). The okra extract was also shown to slow the growth of breast cancer cells by 63%. It's interesting that we are still discovering new anti-cancer compounds in common foods we eat on a regular basis. The research on ‪okra for preventing ‪cancer is just starting up, however another recent study has shown that okra pectin is active against highly metastatic melanoma cells (B16F10), reducing their proliferation, inducing cell cycle arrest and programmed cell death (apoptosis). In another study, the "Southern" eating pattern, characterized by eating okra, grits, cornbread, beans, rice and sweet potatoes, was shown to reduce the risk of prostate cancer by 40% in a group of American men, but interestingly a diet richer in fruit & vegetables did not reduce risk in that group. Bottom line: okra is a healthy food which is already widely consumed, and now latest research tells us it may give protection from at least three different cancers. More research is needed to confirm this in humans but in the meantime, it may be a good choice to add okra to your regular diet, which should already contain a wide variety of vegetables - and plenty of them.